I am working on a short story. My main character is not Eros, the big-bad god of love himself, but his brother, Anteros. The research for this has been really interesting, as Anteros is a lesser-known god with an interesting superpower. Let's take the story of the little mermaid, the original Hans Christian Andersen one (in other words, the fucked-up, un-Disney one). In it, the little mermaid loves her prince, who does not love her back. If Anteros were around, he would fill the prince full of arrows, thus causing some form of Greek tragedy to fall on his princely head for not loving back the one who loved him the most. Anteros' second power, as far as I understand, is similar to Eros', but even cooler. He hits two people with arrows. They don't fall in love immediately, the way Eros' victims do. They develop a powerful mutual respect for each other, "heavenly" rather than "earthly" love. A love that endures. Anteros is the god of requited love. Shortly thereafter, the painter Giovanni Baglione painted Divine and Profane Love, in which a winged, armored Anteros is victoriously smiting (I can't think of a more fitting word than smite) Eros, who crouches on the ground in the company of the devil, whose facial features supposedly resemble Caravaggio's. 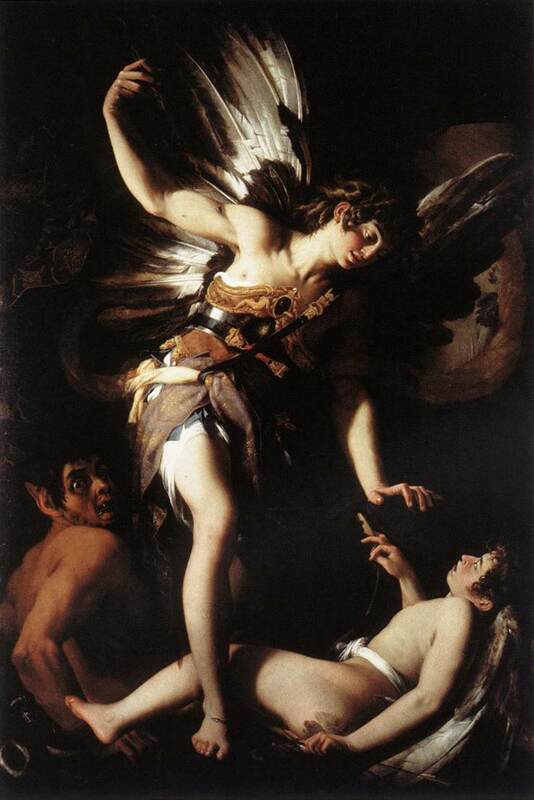 Baglione's Divine and Profane Love. 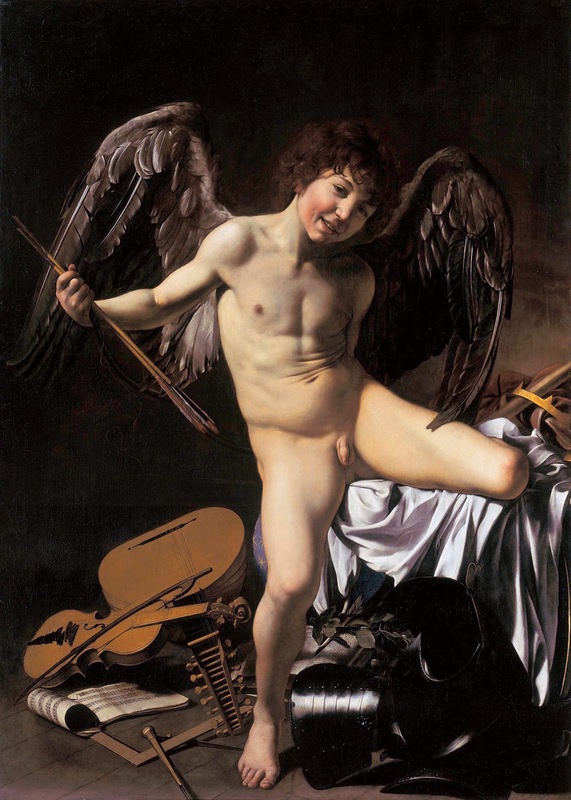 Baglione's act of Baroque "yo mama" set the art world on fire and lead to years of bitter animosity between the two painters, which later included a suit of libel filed by Baglione against Caravaggio for what Wikipedia calls "unflattering poems circulated around Rome." Rude Italian limericks, I hope. Anyhow, the rivalry between the two painters and the rivalry between the two gods of love have got me thinking about how to set up the love-hate conflict in this short story. The story can't be longer than 7,000 words, which is not a lot of breathing room, but I like a challenge. As long as it's not too hard.